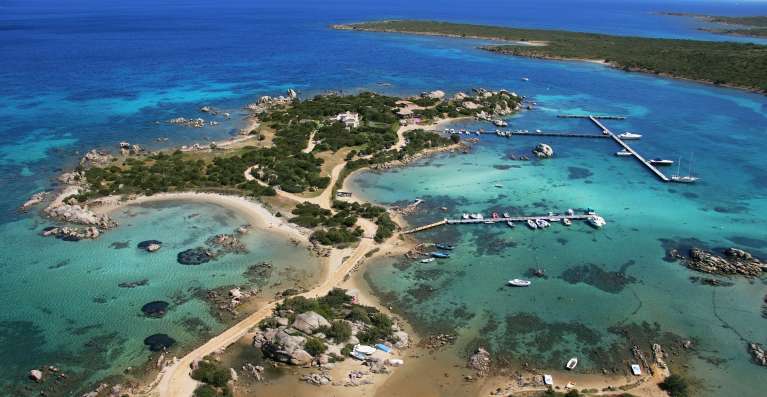 Sardinia, the second largest island in the Mediterranean, is an alluring character. Its rocky coastline stretches more than 1100 miles, scored with dramatic headlands, deep bays and sheltered inlets, and dotted with tiny islands. With a civilization dating back thousands of years, Sardinia is full of archaeological sites and the ruins of ancient cities, and the island thrives on a culture of music, dance, crafts and cuisine. The north of the island is renowned for its spectacular scenery; small coves and bays lined with sandy beaches and fringed by crystal clear turquoise waters. It is here in the Gallura region that the world-famous Costa Smeralda - the fabled Emerald Coast - is found. Christened by Prince Karim Aga Khan in 1962, this unspoilt coastal region has since been favoured by the rich and famous. Cultural events on the Emerald Coast include prestigious yachting event the Sardinia Cup, Loro Piano Superyacht Regatta, the Italian Film Festival, polo matches and vintage car rallies. During summer, the coast is lined with yachts and the Porto Cervo marina teems with superyachts. The Costa Smeralda is peppered with secluded bays and coves and it is in such a bay, in the Gulf of Marinella, that the private island paradise of Isola Marinella is hidden. Stretching over ten acres, Isola Marinella is surrounded by crystalline waters, with its own white beaches, hidden coves and striking rock formations. The island's abundant juniper garden provides a protective cordon for the estate and creates a microclimate within. Situated amid this paradisiacal setting are the island's dwellings - a main residence, a second villa (currently used as a yacht club) and two guest accommodations. The main villa is an attractive 9,300-square-foot residence designed and finished with exquisite attention to detail. 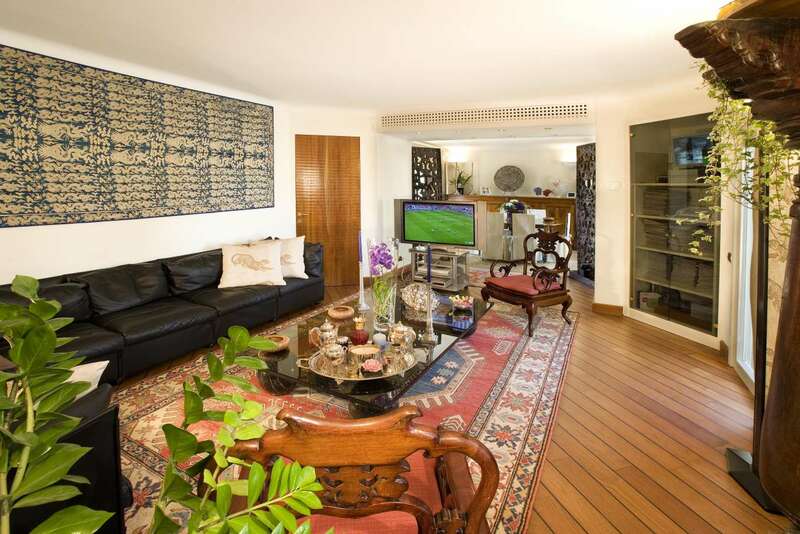 There is a large living room, a dining room and a fully equipped kitchen. The three double bedrooms come with en-suite bathrooms. The Mediterranean's 300 days of sunshine a year means that outdoor living is possible from March right through to November. The villa's broad terraces are designed with this in mind, offering ideal spaces for outdoor dining and entertaining, all enhanced by spectacular coastal and sea views. 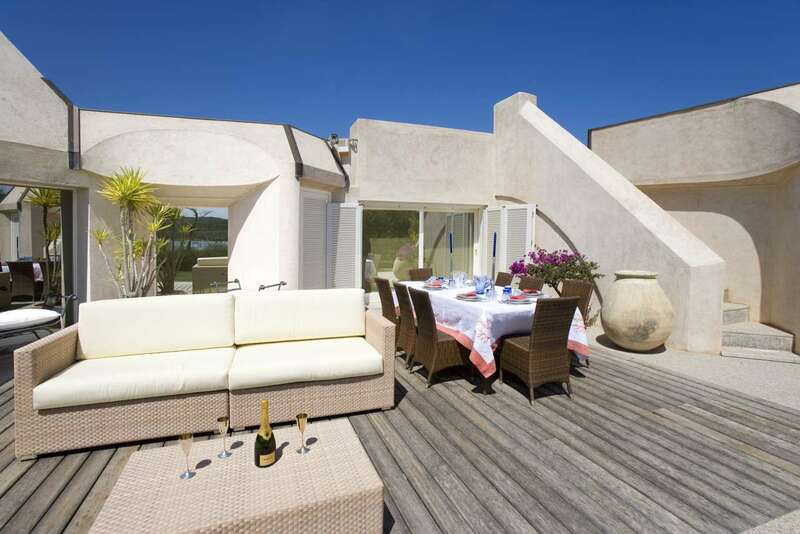 The villa is set in natural gardens near a quay with berths for several yachts. The second villa is a spacious wood structure with hardwood floors and walls. Set in natural gardens near the quay, it is used as a yacht club and has a small private pier with berthing for several yachts. The villa offers a coffee area, offices for guests of the club and staff quarters. 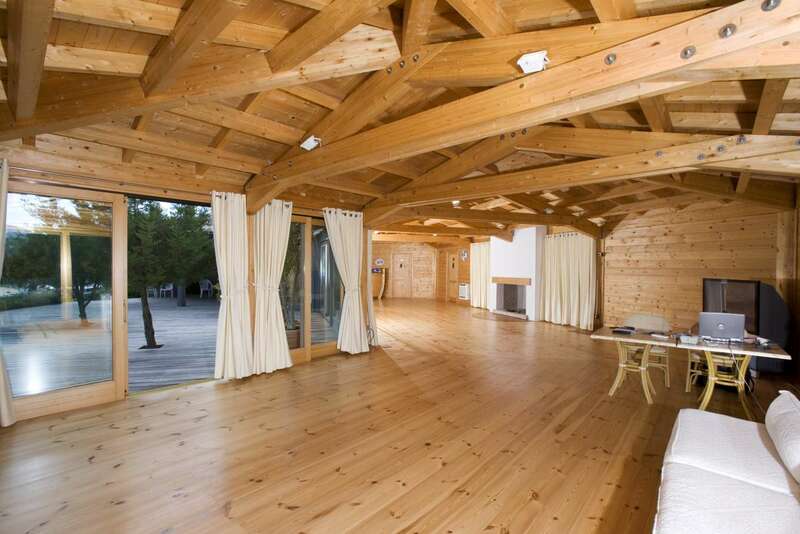 Despite its current purpose, the structure can easily also be converted back into a private residence. 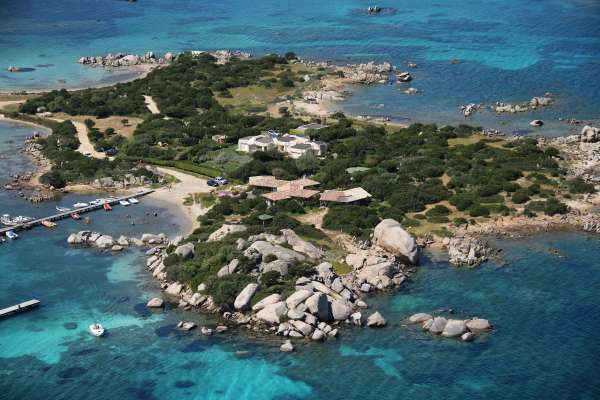 Isola Marinella features two further dwellings for extended family, guests or staff. One has a living room, kitchenette, master bedroom and bathroom; the other is a one-bedroom dwelling with one bathroom. A private road connects the island to the mainland and there are also two piers with plenty of mooring facilities for visitors who prefer to visit by boat. 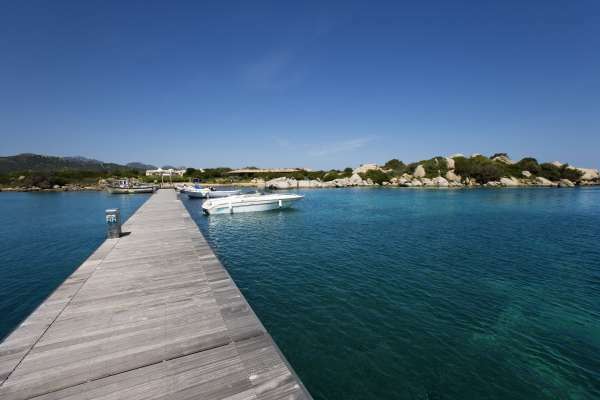 One of the finest features of Isola Marinella is its ideal location near the town of Porto Rotondo, noted for its exclusive marina. 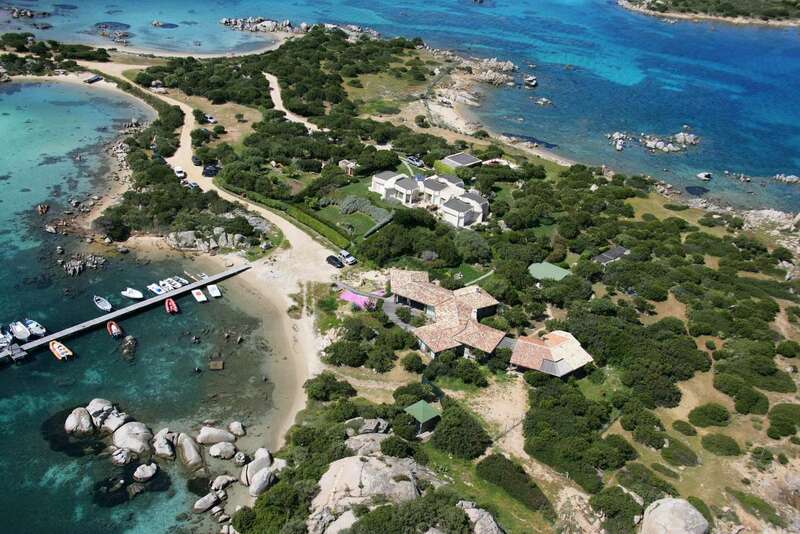 Porto Rotondo was founded in 1965 by two brothers from the ancient Venetian family of Count Dona dalle Rose. 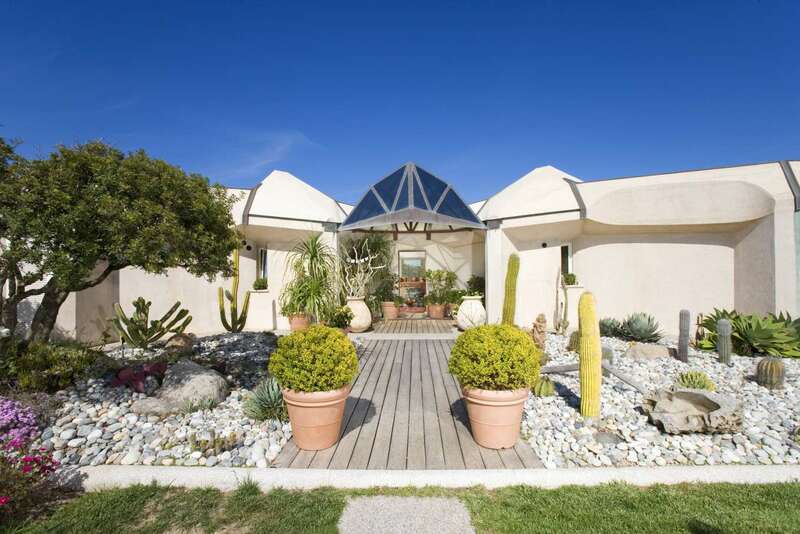 Designed around a central piazzetta and renowned for its boutiques, elegant cafes, restaurants and art galleries, Porto Rotondo has a lively ambience. Whether as the most private of residences, as a yacht club venture or as a corporate investment, Isola Marinella offers a stunning opportunity to own the ultimate private Mediterranean island in an area that is home to some of Italy's most affluent residents. 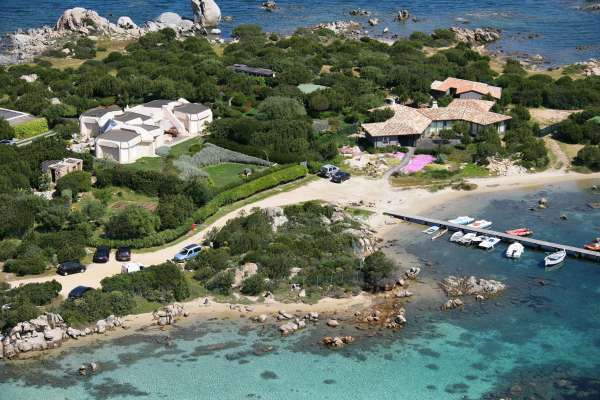 Italian Prime Minister Silvio Berlusconi has a waterfront estate nearby. Porto Rotondo is just six miles from Porto Cervo and just 15 minutes from Olbia Costa Smeralda Airport with its private jet access and helicopter service.